In stock -This product will ship today if ordered within the next 15 hours and 3 minutes. 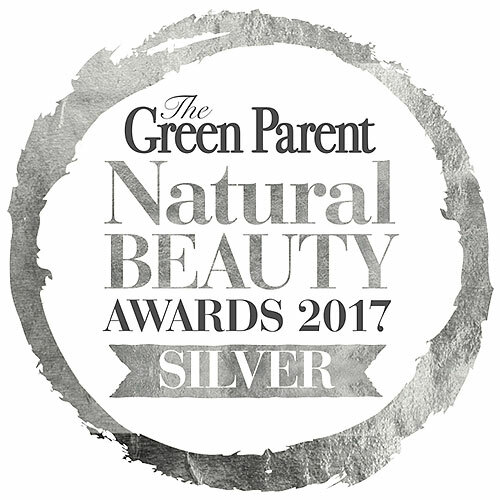 The Green Parent Natural Beauty Awards Silver Winner. 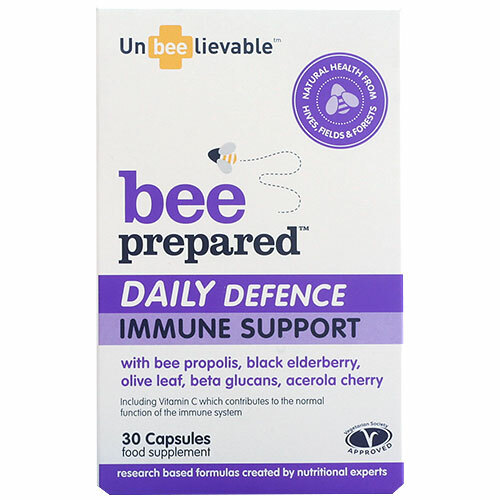 BEE Prepared is a dynamic combination supplement, packed with generous amounts of highly concentrated ingredients to help keep your immune system fighting fit. Each of its antioxidant-rich nutrients have been safely used for years in nutritional supplements and in natural remedies to help support immune system health. Can be taken daily or as needed to help keep you at your best during cold and flu season, before and during travel or when feeling run down. Bee Propolis Extract, Capsule Shell (Emulsifier: Hydroxypropyl Methyl Cellulose), Acerola Cherry Extract, Black Elderberry Extract, Olive Leaf Extract, Beta 1,3/1,6 Glucan, Anti Caking Agents(Silica Dioxide, Magnesium Stearate). Take one capsule daily. Up to 4 capsules per day may be taken. Children under 12 may be given half the adult dose or as advised by a suitably qualified health professional. Do not exceed recommended daily does. As with other supplements, pregnant and lactating women or those with allergies should seek medical advice before using this product. Below are reviews of Bee Prepared Daily Defence Immune Support - 30 Capsules by bodykind customers. If you have tried this product we'd love to hear what you think so please leave a review. BEE Prepared is a dynamic combination supplement, packed with generous amounts of highly concentrated ingredients. 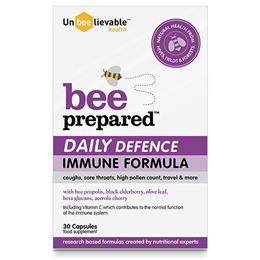 Bee Prepared Daily Defence can be used every day to keep your immune system fighting fit.